MARQUETTE, JACQUES, Jesuit, missionary; b. at Laon, France, on 10 June 1637; d. in the territory of the Illinois Indians, near the present day Luddington, Michigan, 18 May 1675. 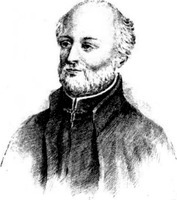 The son of Nicolas Marquette, seigneur of Tombelles and councillor of Laon, and of his second wife, Rose de La Salle, Jacques Marquette descended from two distinguished families of warriors and officials, his father’s being one of the most ancient and prominent in the Laon district. At the age of 17, in October 1654, he entered the Jesuit noviciate at Nancy, and, after studies and teaching assignments at Auxerre, Rheims, Charleville, Langres, and Pont-à-Mousson, he began his theological studies at Pont-à-Mousson in the autumn of 1665. Since 1658, however, he had been repeatedly expressing both to his immediate superiors and to the general of the Jesuits in Rome, his strong desire to become a missionary. In. March 1665, he had written a second letter to the general, urging “that your Paternity, order me to set out for foreign nations of which I have been thinking from my, earliest boyhood,” and begging that he be allowed to go without the usual course in theology. “A reason for my not tarrying so long,” he insisted, “is that I feel a repugnance to getting up the speculative sciences and by nature and disposition am not so well suited for them.”‘ He had, nevertheless, been obliged to begin theology; but his course was, by exception, abbreviated to one academic year. 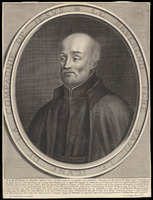 Accordingly, at the beginning of June 1666, Marquette, left La Rochelle, arriving, in Quebec on 20 September, Three weeks later, on 10 October, he left for Trois-Rivières where he spent a year with Father Gabriel Druillettes in the study of Montagnais and other Indian languages – among which, by 1673, he was fluent in six. On 20 May 1668, he left Quebec for the Ottawa mission, joining Father Claude Dablon in the establishment at Sault Ste. Marie, a mission post that served some 2,000 Algonkins, A year later, in September 1669, he transferred to the western extremity of Lake Superior, founding, at La Pointe du Saint-Esprit in Chequamegon Bay, a mission which ministered to refugee Ottawa and Huron tribesmen from the shores of Lake Huron and Georgian Bay. It was here that he first made contact with the Illinois Indians, whose gentle and courteous manners contrasted with those of the fierce Hurons. The latter, having become involved in a quarrel with the Sioux, and finding themselves outnumbered, hurriedly abandoned La Pointe and fled to Lake Michigan. Marquette followed, and in the summer of 1671, founded the mission of Saint-Ignace on the north shore of the straits of Michilimackinac. There he remained until 1673, except for a sojourn at Sault Ste. Marie where he took his final vows as a Jesuit on 2 July 1671. There also, on 8 Dec. 1672, he welcomed Louis Jolliet, who came with a commission to lead an expedition of discovery to the Mississippi. By the following summer, 1674, Marquette had recovered sufficiently to renew his missionary activity. He set out to fulfil his promise to the, Kaskaskia Indians that he would return to them. 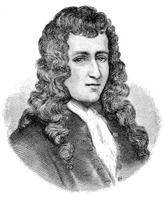 Accordingly in October 1674, he left Green Bay (Baie des Puants) with two voyageurs, Jacques Largillier* and Pierre Porteret, for the Illinois territory; but he suffered much from the stormy weather and frost; his dysentery returned, and the three travellers wore forced to stop on 14 December and to Spend the winter at a spot which is now in the suburbs of Chicago. They were frequently visited by parties of Illinois Indians; on 30 March 1675, Marquette decided to continue on to their village on the Illinois River which he reached with his companions on 8 April. It was Holy Week, and on Holy Thursday he preached in the open air to a magnificent circle of 500 chiefs and old men squatting around him, while 1,500 young braves stood behind. However he was already a dying man. Shortly after Easter, he left for Saint-Ignace hoping to reach the mission before the end. He did not. Carried ashore by his two companions, he expired in the wilderness on a spot at the mouth of the river since named after him. Two years later, a convoy of some 30 canoes of Kiskakon Indians disinterred his body, and solemnly transported it to Saint-Ignace. Perhaps because he is the most renowned of all Jesuit missionary-explorers in the early story of North America, Marquette has been the centre of a great deal of controversy. In the last 30 years or so this has tended to concentrate on three main points: the authorship of the Récit of the 1673 expedition; Marquette’s ordination to the priesthood; and the personality and relative importance of the man as a missionary and explorer. Until 1927, Marquette was generally taken to be the author of the Récit which was, in fact, written in the first person. In that year, however, Francis B. Steck published The Jolliet-Marquette expedition of 1673 in which he challenged this traditional belief, claiming that the Récit was not Marquette’s but rather Jolliet’s journal recast by Father Claude Dablon with the aid of other sources. Steck’s conclusions were thoroughly reviewed in “The Jolliet-Marquette expedition of 1673,” Thought, IV (1929), 32–71, by Father J. G. Carraghan who questioned Steck’s critical methods and concluded in turn that although there was some mystery about the Récit, it must continue to be considered as substantially Marquette’s own journal of the voyage. To this Steck replied with a pamphlet, Father Garraghan and “The Jolliet-Marquette Expedition of 1673,” in which he reiterated his original stand and, in turn, criticized Garraghan’s methods. In 1945, Jean Delanglez began a series of articles on the Récit and claimed, after examination of a bewildering record of manuscripts, publications, and maps, that the Récit had indeed been composed (in the first person as a literary device) by Father Claude Dablon with the aid of other documents but not Jolliet’s journal, a conclusion which he incorporated, with a huge bibliography, in his Life and voyages of Louis Jolliet, and Louis Jolliet: vie et voyages. The debate on the second controversial point, Marquette’s ordination, is based especially on the argument from silence (there is no record of it), on the fact of Marquette’s request of 1665 to be sent to the missions without the regular course in theology; and, finally, on different interpretations of the document of Marquette’s final vows in the Jesuit order. 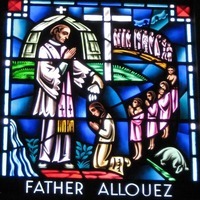 In a review of Delanglez’ Jolliet in the Wisconsin Magazine of History, XXXII (1948), 227–29, J. C. Short claims that Jacques Marquette was not a priest but a catechist, a claim he reiterated in “Jacques Marquette, cathechist,” RUL, III (1948–49), 436f. In “Attempted mayhem on Père Marquette,” Mid-America, XXXI (1949), 109–15, Jerome V. Jacobson refutes this, both by arguments taken from the Jesuit Constitutions, and by publishing a new document that records the ordination of a Jacques Marquette at Toul on 7 March 1666. He repeats these arguments and adds the testimony of the triennial catalogue of the Jesuit province of Champagne (to which Marquette belonged) in another article in the same periodical, “Marquette’s ordination” (Mid-America, XXXII (1950), 46–54). These arguments for and against Marquette’s priesthood are reviewed again in Claude Corrivault’s “Le Père Jacques Marquette,” BRH, LVI (1950), 46f. The discussion about Marquette’s personality and place in history is largely a by-product of the other two debates. Viewed from the Récit, the Journal, other letters, and the Relations, Marquette appears as a robust, optimistic, gentle, and truly zealous missionary who exercised an intense personal influence over the Indians, and whose reputation for great missionary initiative as well as personal holiness began with his own immediate contemporaries. As such he has appealed to posterity, and has deserved to be commemorated by monuments (a statue in the Capitol in Washington, among others) and the bestowal of his name on a university, a railroad, a river, a number of cities, districts, and countless avenues. By using other documents, however, by re-evaluating the Récit and from the ordination controversy, some have found Marquette to be a “synthetic hero,” one whom his superiors in France, during his first years as a Jesuit, found in fact to be “mediocre” or at best “good,” and temperamentally “bilious” and “melancholic.” They underline that he only spent six and one-half years at the missions; that he founded none except Saint-Ignace; that, except for the Mississippi expedition, he merely followed in the footsteps of others, especially Father Claude Allouez; and that on the Mississippi expedition itself, Jolliet was the leader and not Marquette, as Charlevoix* had claimed. In an unpublished mimeographed collection of ten essays on Marquette, Steck rehearses all his previous arguments about the exaggerated place in history given to Marquette, and adds additional ones. These he published in Marquette Legends. But these, again, were closely re-examined and criticized in a review by Lucien Campeau (RHAF, XIV (1960–61), 282–86). Judging from the record of the past 30 years, the last word has not yet been written in this three-pronged debate, which, even in a short view of history, does not really matter. For it concerns a man who left behind him as many mysteries as any man will, and, being human, must have had the defects of all his qualities. Charlevoix, Histoire. JR (Thwaites), LIX. Narratives of the Northwest (Kellogg) in Original narratives (Jameson). Mission du Canada: Relations inédites de la Nouvelle-France (1672–1679) pour faire suite aux anciennes relations (1615–1672) avec deux cartes géographiques, [éd. Félix Martin] (2v., Paris, 1861). J. G. Shea, Discovery and exploration of the Mississippi valley with the original narratives of Marquette, Allouez, Membré, Hennepin, and Anastase Douay (New York, 1852). Melchisédech Thévenot, Recueil de voyages de Mr. Thévenot (Paris, 1681). Lucien Campeau, “Marquette legends,” RHAF, XIV (1960–61), 282–86. C. Corrivault, “Le Père Jacques Marquette,” BRH, LVI (1950), 46–48. Jean Delanglez, “The discovery of the Mississippi,” Mid-America, XXVII (1945), 219–31; XXVIII (1946), 2–22; Jolliet ; “Marquette’s autograph map of the Mississippi River,” Mid-America, XXVII (1945), 30–53; “The ‘Récit des voyages et des découvertes du Père Jacques Marquette,’” Mid-America, XXVIII (1946), 173–94, 211–58. G. J. Garraghan, “The Jolliet-Marquette expedition, 1673,” Thought, IV (1929), 32–71; Marquette–-ardent missioner, daring explorer (New York, 1937). “Some hitherto unpublished Marquettiana,” Mid-America, XVIII (1936), 15–26; “Some newly discovered Marquette and La Salle letters,” Archivum historicum Societatis Iesu, Anni IV, Fasc.ii (Iul.-Dec., 1935), 268–90. 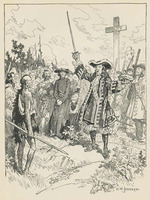 Alfred Hamy, Au Mississippi: la première exploration, 1673: le Père Jacques Marquette de Laon, prêtre de la Compagnie de Jésus (1637–1675), et Louis Jolliet, d’après Ernest Gagnon (Paris, 1903). Jerome V. Jacobson, “Attempted mayhem on Père Marquette,” Mid-America, XXXI (1949), 109–15; “Documents: Marquette’s ordination” Mid-America, XXXII (1950), 46–54..
L. P. Kellogg, The French régime in Wisconsin and the Northwest (Madison, Wis., 1925); “Jacques Marquette,” DAB, XXII, 294–95; “Marquette’s authentic map possibly identified,” State Hist. Soc. of Wisconsin. Proc., 1906, 183–93. Agnes Repplier, Père Marquette: priest, pioneer and adventurer (New York, 1929). J. C. Short, “Jacques Marquette, catechist,” RUL, III (1948–49), 436–41; review of Jean Delanglez, Life and voyages of Louis Jolliet, in Wisconsin Mag. of Hist., XXXII (1948–49), 227–29. Jared Sparks, “Father Marquette,” in The Library of American biography, ed. Jared Sparks (10v., Boston and London, 1834–36), X, 263–99. Francis Borgia Steck, Essays relating to the Jolliet-Marquette expedition, 1673, ed. August Reyling (2v., Quincy, Ill., 1953 [for private distribution]); Father Garraghan and “The Jolliet-Marquette expedition, 1673” (Quincy, Ill., 1929 [privately printed pamphlet]); The Jolliet-Marquette expedition, 1673 (The Catholic University of America, Studies in American Church History, VI, 1927); Marquette legends, ed. August Reyling (New York, 1960). J. Monet, “MARQUETTE, JACQUES,” in Dictionary of Canadian Biography, vol. 1, University of Toronto/Université Laval, 2003–, accessed April 20, 2019, http://www.biographi.ca/en/bio/marquette_jacques_1E.html.